With Christmas hot on our heels, we’re all scrambling for gift ideas for our tweens and teens. Picking a gift for a child this age can be a struggle. They’re usually not into toys, clothes are considered boring —for boys, anyway—and devices and electronics? Well, research is proving those to be an unhealthy option. So then what? Well, we at CatholicTeenBooks.com offer some exciting alternatives. How about a good book? Sure, to some that sounds boring. But we’re not suggesting boring books! We’re suggesting exciting adventures, fun mysteries, and heart-pounding fantasies. In fact, there’s a genre for every taste! And these stories don’t end on the last page, because with each comes hope, inspiration, encouragement, morality, and just plain goodness—virtues your children can take into the world and help make it godlier. Strengthen your teens’ faith, one book at a time…check out the author gift ideas here! 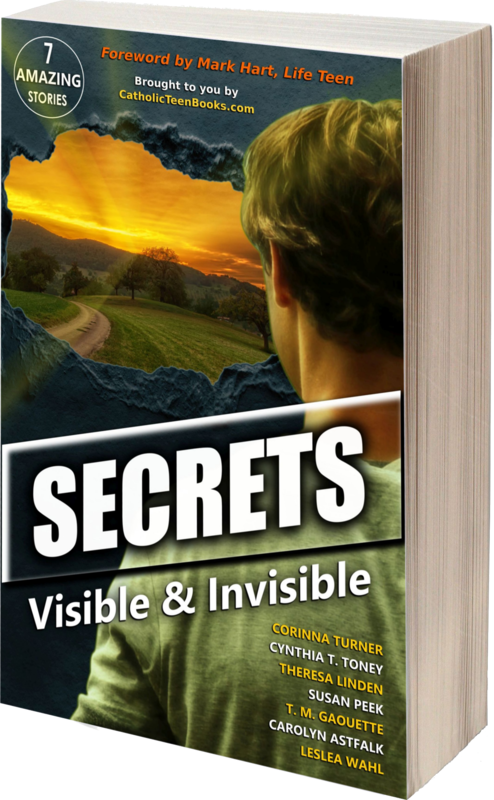 SECRETS: VISIBLE & INVISIBLE Blog Tour Stop 10 – Dreams, Aspirations, and God’s will for you! Trust me! There is a connection. A point will be made. And secrets will be shared. Secret (n.) – something kept hidden from knowledge or view; a mystery. In a dystopian future, an innocent picnic turns deadly! Elijah knows nothing of an elderly stranger’s secret past—until her disappearance changes everything. A mysterious, ever-changing painting alarms a group of teens. A cannonball took Dario’s legs . . . Will he lose his soul too? The arrival of a mysterious girl challenges everything about Jason’s life. An unlicensed driver. His dad’s truck. What could possibly go wrong? An old tale of murder and forbidden love leads to a modern-day treasure hunt. Jump ahead: Book Trailer, Advance Reviews, Blog Tour Schedule, About the Authors, and find Catholic Teen Books on the the web and social media. CORINNA TURNER is the author of the I Am Margaret series for young adults, as well as stand-alone works such as Drive! and Elfling (for teens) and Someday (for older teens and adults). All of her novels have received the Catholic Writers Guild Seal of Approval (except new releases for which the Seal may be in process).Liberation (‘I Am Margaret’ Book 3) was nominated for the Carnegie Medal Award 2016 and won 3rd place for ‘Teen and Young Adult Fiction’ in the Catholic Press Association 2016 Book Awards. I Am Margaret was one of two runners-up for the ‘Teenage and Children’s Fiction’ Catholic Arts and Letters Award 2016. Corinna Turner is a Lay Dominican with an MA in English from Oxford University, and lives in the UK. She has been writing since she was fourteen and likes strong protagonists with plenty of integrity. She used to have a Giant African Land Snail called Peter with a 6½” long shell—which is legal in the UK!—but now makes do with a cactus and a campervan. You can find out more at www.IAmMargaret.com. CYNTHIA T. TONEY writes for preteens and teens because she wants them to know how wonderful, powerful, and valuable God made them. Her novels employ hope and humor to address some of the serious issues young people encounter. Cynthia is the author of the Bird Face contemporary series, including 8 Notes to a Nobody, 10 Steps to Girlfriend Status, 6 Dates to Disaster, and soon, 3 Things to Forget. A coming-of-age historical, The Other Side of Freedom, is set in a 1920s farming community. Her novels have appeared on numerous Catholic bloggers’ Top 5, 10, or 20 book lists and favorites lists. They have also been featured in Catholic Teacher magazine. She is a member of the Catholic Writers Guild and whichever author association or writing guild is available in the state in which she might currently reside, which so far has stretched across the southern U.S. to Texas. She has a passion for rescuing dogs from animal shelters and lives with her husband and several canines. She loves hearing from readers, who can connect with her through her website, www.CynthiaTToney.com. THERESA LINDEN is the author of the Chasing Liberty dystopian trilogy and the West Brothers series, including Catholic Press Association award-winners Roland West, Loner and Battle for His Soul. She resides in Ohio with her husband and their three teen sons. A Secular Franciscan and a member of the Catholic Writers Guild, her faith inspires the belief that there is no greater adventure than the realities we can’t see, the spiritual side of life. She hopes that her stories will spark her readers’ imaginations and awaken them to the power of faith and grace. Learn more about her and find her social media links at www.TheresaLinden.com. SUSAN PEEK is the author of the young adult series, God’s Forgotten Friends: Lives of Little-known Saints. All of her novels received the Catholic Writers Guild Seal of Approval and are used in Catholic schools across the English-speaking world. The King’s Prey: Saint Dymphna of Ireland was voted one of the Top 10 Best Catholic Books of 2017 and Crusader King was listed with The 50 Best Catholic Homeschooling Books of 2013. Although Susan’s first love is writing for teens, she’s also authored several children’s books. Susan is a Third Order Franciscan and mother of eleven children, including two in the Religious life and a son in the U.S. Air Force. She lives in Kansas, where she usually has her nose in a book, finding obscure saints to write about. 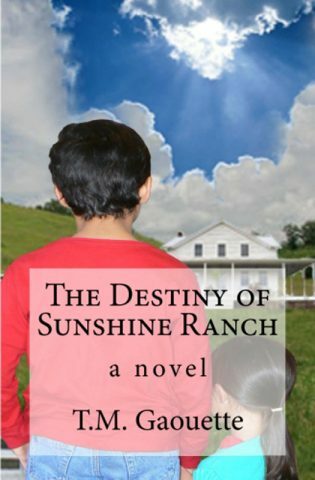 You can visit her at www.SusanPeekAuthor.com. 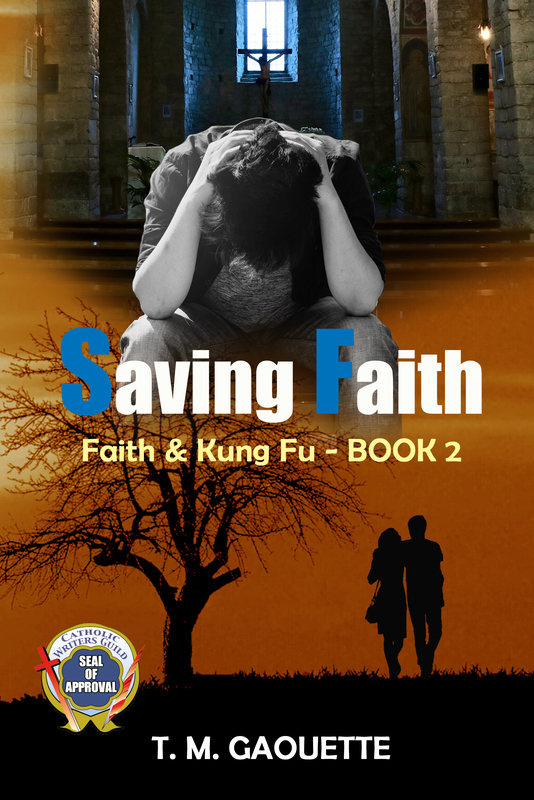 T. M. GAOUETTE is the author of the Faith & Kung Fuseries for young adults, as well as The Destiny of Sunshine Ranch. 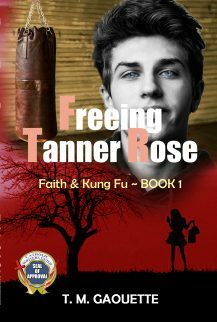 A member of the Catholic Writers Guild, her novels Freeing Tanner Roseand Saving Faith have received the Catholic Writers Guild Seal of Approval. (Others are in the process). Born in Africa, raised in London, England, Gaouette now lives on a small farm in New England with her husband where she home-schools her four children and raises goats. A former contributor on Project Inspired, she now writes fiction for teens and young adults. Her desire is to instill the love of God into the hearts of her readers. You can find out more at www.TMGaouette.com. CAROLYN ASTFALK writes from The Sweetest Place on Earth, Hershey, Pennsylvania, where she lives with her husband and four children. In addition to her contemporary Catholic romances (sometimes referred to as Theology of the Body fiction), including the young adult coming-of-age story Rightfully Ours, she writes for CatholicMom.com and Today’s Catholic Teacher. When she’s not washing dishes, doing laundry, or reading, you can find her blogging about books, family life, and faith at www.CarolynAstfalk.com. LESLEA WAHL lives in beautiful Colorado with her husband and children. The furry, four-legged members of her family often make cameo appearances in her novels. Leslea’s writing career began when she was searching for faith-inspired books for her own children and the idea for her first novel popped into her head. That divine inspiration has led to a successful writing ministry that she hopes encourages teens to grow in their faith through fun adventures. For more information about her faith-filled young adult mysteries, visit www.LesleaWahl.com. Find all of these authors and others at: CatholicTeenBooks.com. On Facebook, join the Books for Catholic Teens Group. 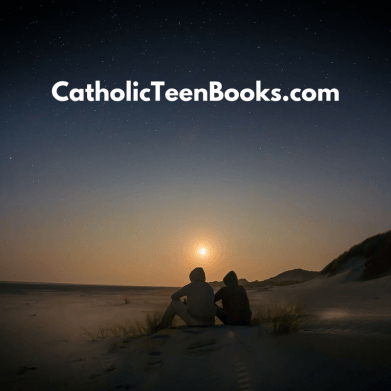 On Instagram, follow Books for Catholic Teens.